As we look forward to the 4th annual World Languages Day on September 28, 2018, please register your school or organization (as a sponsor or exhibitor) to participate. For additional information, please review the overview below or contact CULTR at cultr@gsu.edu. Hosted by the Center for Urban Language Teaching and Research (CULTR), a U.S. Department of Education Title VI NFLRC, World Languages Day is a free information fair connecting over 1,000 high school and college students to businesses and professions that value global skills. World Languages Day is organized as a resource fair in which the students will be able to go from table to table to talk with representatives from different companies, non-profits, and government organizations about the career opportunities in their fields that come with language study and cultural competency. Highlighting these skillsets, World Languages Day’s attending organizations include representatives across international commerce, social services, and governmental agencies. Through real-world experiences, open dialogue about industry needs, and a push for globally-minded talent across potential employees, World Languages Day students are empowered to create a “map” from language success to a future professional career. For World Languages Day 2018, CULTR will expand the event from the previous format. Changes include expanding school sessions to allow all high schools to attend from 9 am- 2pm, or for as long as possible during this time. Please review these details below. •	New Full-day Schedule: Participating high schools will be organized on a rotational schedule between the exhibitor hall, the speaker’s auditorium for presentations, and the interactive sessions for performances and games. CULTR encourages all high schools to participate even if you cannot attend for the full day. •	Introducing Speaker Presentations: Adding to the opportunity for students to speak with organization exhibitors, the speaker sessions will empower students to develop a deeper understanding of important topics, such as workforce readiness, language study, and global competencies, with leading representatives. Succeeding the presentations, students and teachers will have time for questions and follow-up. 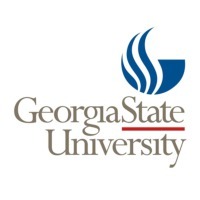 •	Additional Event Space: The event space for World Languages Day 2018 will include three locations at Georgia State University. All within a short walk of one another, these settings include Student Center East, Unity Plaza, and Veteran’s Memorial in Dahlberg Hall. Bus parking will be free and in front of these locations on Gilmer Street. Schools | World language educators across the region are invited to bring their students to this event. A visit to this free event will be educational, entertaining, and inspiring for all students and teachers. Organizations | This free event encourages participation from organizations and agencies on the local, statewide, and/or national levels as exhibitors or sponsors. World Languages Day seeks representatives that can provide real-world experiences, open an honest dialogue about industry needs, and push for globally-minded skillsets for their future workforce. Assembling hundreds of students, teachers, and businesses from across the region, participating organizations can highlight their commitment to developing key relationships, supporting diversity, nurturing youth, and embracing different cultures. Please review our Sponsor and Exhibitor pages to review past participants. Your participation matters to students and to the future. While employers seek to strengthen existing relationships and move into emerging markets, the U.S. workforce continues to experience the “global skills gap” with its worldwide competitors. This disparity stems from the United States lacking skillsets such as language proficiency or cultural competency emphasized across competing workforces in other countries. By encouraging students to pursue these high demand skills, participating organizations can help lower the unemployment rate, reduce unfilled jobs, and provide future employees with the training they need. Come share with students information about how globalization and language proficiency interact to further business goals, reach international markets and make a difference in an increasingly interconnected world. Furthermore, World Languages Day offers an opportunity to directly interact and grow with the community. More than ever, it is vital for students to hear the voices of business, non-profit organizations, and government agencies who value potential employees with language skills, study abroad experience, and empathy for cultural competence. By participating at World Languages Day, your school or organization has the opportunity to join CULTR in the effort to encourage an understanding of different cultures, the study of languages, and an appreciation for diversity across our communities.